I installed electric elevator trim ala Bill and Bob (grainger motor, limit switches). For those that have electric elevator trim installed, did yall also install a trim position indicator in your panel? If so, how did you wire it into your trim system? I find that I would like a position indicator, especially when preparing for takeoff. Most of us have found that you don't need one due to the light controls of the Thorp. Take off trim can vary widely with cg such as fuel state and load. No one setting will be correct for all situations. I think you will find a trim indicator virtually useless. Ryan : Go to Trim Systems on the main forum page and then hit horizontal trim system and there a whole pile of stuff to look at regarding trim position for T/O . I've been working on a new panel for my Thorp and I think I've worked out a simple and light way to display trim position on my Dynon EFIS and EMS. 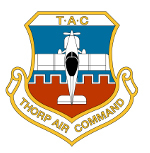 I agree that trim position on the Thorp isn't absolutely necessary, it is however the only plane I have flown in the past 17,000 hours that didn't have a trim position indicator of some sort in the cockpit. I think it will be worth including. I purchased a Space Age Control string potentiometer P/N 173-0241. The potentiometer, mount, and wiring, will add about 2 oz to the airframe. Here's a specification sheet for the potentiometer I purchased. I found a vendor that had a new supply on eBay for $10 each. 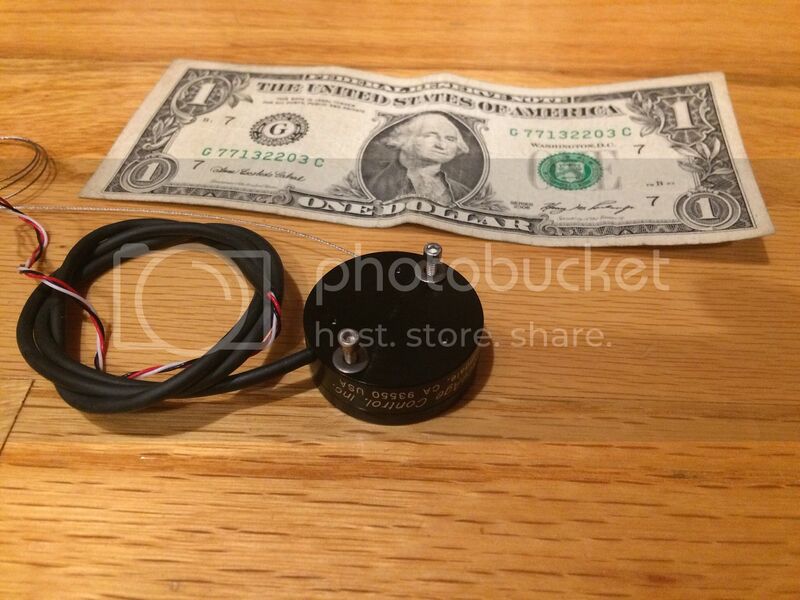 Here's a photo of the potentiometer I'm using. The cable will attach to the aluminum arm that contacts the limit switches on the trim drive. well, I guess I should just keep flying and see if I still think i need the position indicator at next annual. Thanks for the feedback. I agree with Bob, & others who don't think a trim indicator is necessary on the Thorp. That being said, I think that is a really neat way to do it Marshall. Thanks for sharing it! Agreed. I wasted a lot of time on an indicator because I thought "all airplanes have them." Just run trim full nose up and then run it back down a second or two and go flying. Focus on more important things. I have an indicator but its useless and I would have to get my head in the cockpit to use it even if it worked. Taking off with a full tank of fuel w/or without a pax , w/or without baggage I use the same trim setting on my LED indicator . Landing with full flaps (90%+ of the time) I end up with approx. the same trim setting I had for T/O . I vary the trim setting for take off only slightly with less than a full tank . About 1/2 a bar on the indicator . The trim setting is one of the last items on my before take off check list to avoid the OH CRAP (or words to that effect) at rotation ! BOO YAH !